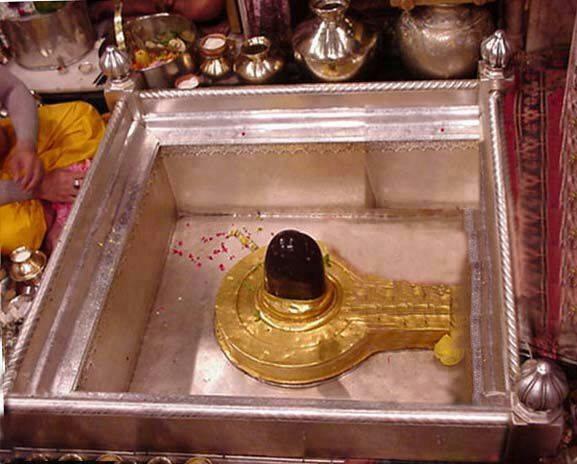 Kashi- Vishvanath Temple is one of the most famous Hindu temples and is dedicated to Lord Shiva. It is located in Varanasi, Uttar Pradesh, India, and the holiest existing place of Hindus. The temple stands on the western bank of the holy river Ganga, and is one of the twelve Jyotirlingas, the holiest of Shiva temples. The main deity is known by the name Vishvanath or Vishveshvara meaning Ruler of the Universe. 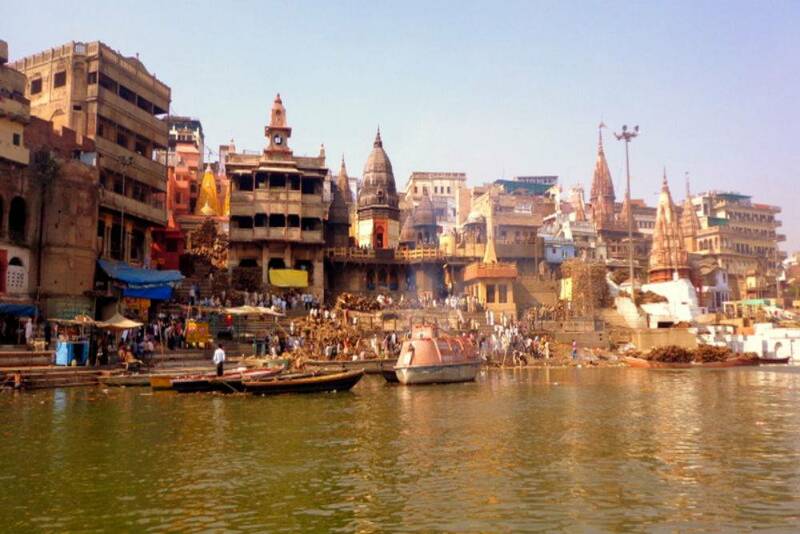 The Varanasi city is also called Kashi, and hence the temple is popularly called Kashi Vishvanath Temple. The Temple has been referred to in Hindu Scriptures for a very long time and as a central part of worship in the Shaiva philosophy. It has been destroyed and re-constructed a number of times in the history. The last structure was demolished by Aurangzeb, who constructed the Gyanvapi Mosque on its site. The current structure was built on an adjacent site by the Maratha monarch, Ahilya bai Holkar of Indore in 1780. 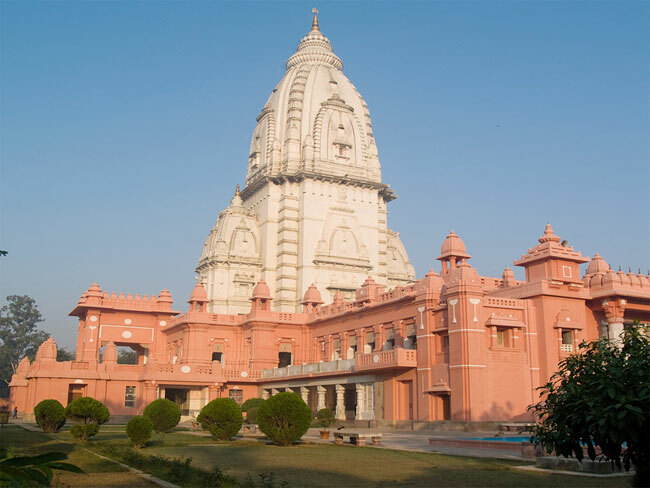 Since 1983, the temple has been managed by the government of Uttar Pradesh. During the religious occasion of Shivratri, Kashi Naresh (King of Kashi) is the chief officiating priest and no other person or priest is allowed to enter the temple sanctorum. It is only after he performs his religious functions that others are allowed to enter. As per Hindu mythology, Lord Shiva married Goddess Parvati on Mahashivratri and gauna (a ritual associated with consummation of marriage) was performed on Rangbhari Ekadashi. Residents of Kashi - the abode of Lord Vishwanath—celebrate the occasion in a grand style. As per tradition, devotees carried the idols of Lord Shiva and Goddess Parvati in a 'palaki' from the house of former mahant of Kashi Vishwanath Temple. Blowing conch, damru and other musical instruments, the devotees went to the sanctum sanctorum of Kashi Vishwanath Temple and offered gulal and rose petals to the deities. The temple has been mentioned in the Puranas including the Kashi Khanda (section) of Skanda Purana. 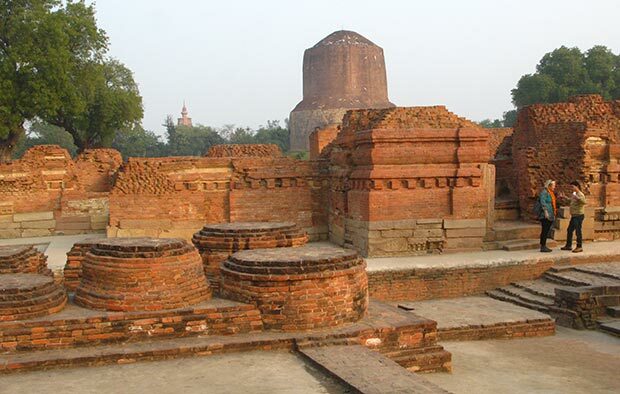 The original Vishwanath temple was destroyed by the army ofQutb-ud-din Aibak in 1194 CE, when he defeated the Raja of Kannauj as a commander of Mohammad Ghori. The temple was rebuilt by a Gujarati merchant during the reign of Delhi's Sultan Iltutmish (1211-1266 CE). It was demolished again during the rule of either Hussain Shah Sharqi (1447-1458) or Sikandar Lodhi (1489-1517). Raja Man Singh built the temple during Mughal emperor Akbar's rule, but orthodox Hindus boycotted it as he had let the Mughals marry within his family. Raja Todar Malfurther re-built the temple with Akbar's funding at its original site in 1585. In 1669 CE, Emperor Aurangzeb destroyed the temple and built the Gyanvapi Mosque in its place. The remains of the erstwhile temple can be seen in the foundation, the columns and at the rear part of the mosque. In 1742, the Maratha ruler Malhar Rao Holkar made a plan to demolish the mosque and reconstruct Vishweshwar temple at the site. However, his plan did not materialize, partially because of intervention by the Nawabs of Lucknow, who controlled the territory. Around 1750, the Maharaja of Jaipur commissioned a survey of the land around the site, with the objective of purchasing land to rebuild the Kashi Vishwanath temple. However, his plan to rebuild the temple did not materialize either. In 1780, Malhar Rao's daughter-in-law Ahilyabai Holkar constructed the present temple adjacent to the mosque. In 1828, Baija Bai, widow of the Maratha ruler Daulat Rao Scindhia of Gwalior State, built a low-roofed colonnade with over 40 pillars in the Gyan Vapi precinct. During 1833-1840 CE, the boundary of Gyanvapi Well, the ghats and other nearby temples were constructed. Many noble families from various ancestral kingdoms of India and their prior establishments make generous contributions for the operations of the temple. In 1841, the Bhosale’s of Nagpur donated silver to the temple. In 1859, Maharaja Ranjit Singh donated gold for plating the temple's dome. The temple was managed by a hereditary group of pandas or mahants. After the death of Mahant Devi Dutt, a dispute arose among his successors. In 1900, his brother-in-law Pandit Visheshwar Dayal Tewari filed a lawsuit, which resulted in him being declared the head priest. Varanasi is easily accessible from all parts of the country. Very well connected by road, rail, air the City of. Offers convenient and comfortable travelling options to and from other cities of India. BY FLIGHT: There are regular flights from other major cities of the country to Varanasi. Airport(s): Varanasi Airport (VNS). BY TRAIN: Varanasi is well connected to other major cities of the country via regular trains. Railway Station(s): Varanasi Junction (BSB), Varanasi City (BCY), Manduadih, Bhulanpur (BHLP), Kashi (KEI), Chaukhandi (CHH), Shiupur (SOP), Jalalganj (JLL). BY BUS: You can easily get regular buses to Varanasi from other major cities of the country. Bus Station(s): Varanasi. Offering of Bilva patrawith1 Lotus flowerand1 Madaar’s garlandto Shiva Linga of Kashi Vishwanath Ji, onany one Mondayduring the month of Shravan. Offering of 108 Bilva patra with 1 Lotus flower and 1 Madaar’s garland to Shiva Linga of Shri Kashi Vishwanath Ji, on all four Mondays during the month of Shravan. Offering of 108 Bilva patra with 1 Lotus flower and 1 Madaar’s garland to Shiva Linga of Shri Kashi Vishwanath Ji, every day, throughout the month of Shravan . Offering of 108 Bilva patra, 1 Lotus flower, 1 Madaar’s garland and a Pot of Ganga Jal to Shiva Linga of Shri Kashi Vishwanath Ji, every day, throughout the month of Shravan . Offering of 108 Bilva patra, 1 Lotus flower, 1 Madaar’s garland and a Pot of Milk to Shiva Linga of Shri Kashi Vishwanath Ji, every day, throughout the month of Shravan. Offering of an Earthen Lamp with Bilva patra to Shiva Linga of Shri Kashi Vishvanath Ji, every day, throughout the month of Shravan. Mangala Aarti: - 3.00 A.M. TO 4.00 A.M.
Bhoga Aarti: - 11.15 A.M. TO 12:20 P.M.
Sandhya Aarti: - 7:00 P.M. TO 8:15 P.M.
Shringara Aarti: - 9:00 P.M. TO 10:15 P.M.
Shayana Aarti: - 10:30 P.M. TO 11:00 P.M.